It is well known that when Max Delbruck and Salvador Luria offered the very first molecular biology courses at Cold Spring Harbor, in the late 1940s, all the junior to senior scientists who wanted to take them had to pass a rather stiff examination in advanced differential calculus. I doubt that there are many molecular biology PhDs walking around today who could even pass a decent exam in elementary differential equations, at least not among the AIDS apologists like Drs. Bennett, Moore and Ho, who are essentially mathematical morons. But bemoaning the loss of standards and quantitative rigor in biology is not my ax, and today I want to show you that even among the lofty ivory tower academic cathedrals inhabited by higher mathematical thinkers, there dwell the equivalents of the bespotted immunologist JP Moore. "At the 16th International AIDS conference, which recently concluded in Toronto, plenary speaker Stephen Lewis said, '[South Africa] is the only country in Africa whose government continues to propound theories more worthy of a lunatic fringe than of a concerned and compassionate state.' The 'lunatic fringe' theories Stephen Lewis was referring to are, of course, precisely those advanced by Serge Lang. The objections of HIV deniers have been carefully examined, and thoroughly demolished by the medical community (for a good summary, see Stephen B. Harris, 'The AIDS Heresies', Skeptic, V. 3 No. 2 (1995)). The misinformation campaign of Lang and other HIV deniers has misled South Africa's President Thabo Mbeki and resulted in countless misery and death. Given that, I found it grotesque that your recent obituary of Lang [Notices of the AMS, V. 53 No. 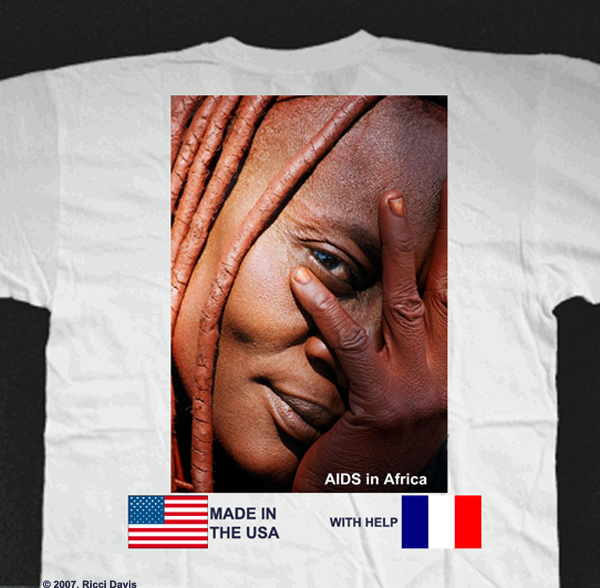 5, May 2006] should attempt to whitewash Lang's bizarre and ill conceived attacks against HIV as a cause of AIDS. And I found it appalling that you would give space to Peter Duesberg, another leader of this destructive campaign, to extol Lang's recklessness. Lang's HIV denialism will stand as a testament to how an egotistical confidence in one's expertise can lead to folly and destruction. Shallit posted his rejected letter to the editor at his blog under the title, "Countering HIV Denialism: The Letter the AMS Wouldn't Print". This title is tendentious and prejudicial. Shallit's viewpoint, contrary to the one published by myself and four other mathematicians, was given equal space in the letters to the Notices, as a similar letter by James Humphreys and Gunter Ziegler denouncing Lang was published in the September issue of the Notices. To suggest that the Notices is somehow censoring Shallit is absurd and delusional. "While Lang had many mathematical achievements, in his later years he began to show serious signs of crankiness, writing scathing letters to a wide variety of targets, including the American Mathematical Society (AMS) itself. Some of these targets, such as Samuel Huntington, were legitimate. Others were not. Lang became obsessed with correcting what appeared in some cases to be debatable or trivial inaccuracies, and even insisted on publishing his voluminous correspondence in books such as The File and Challenges. I remember leafing through The File in Cody's bookstore while a graduate student at Berkeley, wondering why an eminent mathematician would think his complaint letters would captivate an audience. To me, it seemed the sign of an ego out of control. Ever since then, I've seen many copies of The File in the 'remainder' section of bookstores, suggesting that the publisher couldn't sell the number it unwisely chose to print." Shallit has publicly impugned the reputation and integrity of Lang in very strong terms ["lunatic fringe" ... "misinformation"..."resulted in countless misery and death"..."whitewash"..."bizarre and ill conceived attacks"..."recklessness"..."egotistical confidence"..."folly and destruction"]. He makes the accusation that "although having no medical or biological training, Lang became active in the HIV denialist movement." I would point out that much of Lang's criticism of HIV/AIDS is based on basic scientific standards and procedures, an issue which any scientist is able to address. I would also point out that Shallit has no hesitation in pronouncing judgment on this issue, despite his own lack of "medical or biological training". Finally, Shallit's opinion is not one that is shared by all members of the mathematical community: "Serge Lang's writings on scientific practice are arguably among the most important contributions to the sociology of contemporary science. They are at the same time a poignant testimony of the struggle of a great scientist against the forces that are stifling scientific research today - not from outside but within the scientific community itself... As courses in ethics or bioethics multiply, so do also the 'examples of transgressions of the classical standards of science'. Lang's method of documenting and advertising these transgressions is one of the few tools which may have a chance of contributing to a substantial improvement of this lamentable situation." Marco Mamone Capria. I would like to direct Shallit to my 20 Question for AIDS Inc. Does Shallit believe these 20 questions to be "debatable or trivial inaccuracies"? I am very interested in Shallit's responses to these 20 specific questions, as well as Shallit's response to specific documentation collected by Lang in the Memorial HIV/AIDS Archive, publicly available in PDF format at the AIDS Wiki. Certainly, for someone who is quite vocal at his blog regarding "HIV deniers" and Lang in particular, Shallit should be able to respond to these 20 questions and Lang's documentation. To make such a public attack without publicly addressing the concerns raised and documented by Lang, as well as the larger questions raised by dissidents, is highly irresponsible and unscientific. I invite Prof. Shallit to respond by emailing me. Provided he sticks to scientific points and avoids the personal slander of his rejected letter to the Notices, it will be published here at YBYL unedited, along with my response. Darin C. Brown received his Ph.D. in mathematics from the University of California, Santa Barbara in 2004. His dissertation was in algebraic number theory, although he tells us he also has "interests in Fuchsian groups, category theory, and point-set topology". (Fuchsian groups? Sounds exciting !) His "mathematical lineage traces to Stark and Chebyshev". Dr. Brown is also the webmaster at the AIDS Wiki.